From the second a Client is booked in, preparation begins! Once all the details are finalised and the songs are chosen during the months prior, it is smooth sailing from there on out! This ‘Day In The Life’ is based on an all-day Trio Wedding we performed in the beautiful Hunter Valley in early 2018 for Belinda & Michael. First, coffee (obviously! ), then rehearse, rehearse, rehearse! We always meet up before we are due to leave to rehearse the Ceremony and First Dance songs one last time before the Wedding. Once we are 100% happy with the songs, we make sure everything is charged - iPads, phones, batteries etc. (for our battery operated speaker as this was an outdoor Ceremony), and pack the car. Fun fact: Ron can now pack the car in 2 minutes flat! If you saw just how much gear we have, you would understand how impressive that is! We make sure we leave with plenty of time to allow for traffic, stops, re-routes etc, and so we arrive with enough time to be set up and ready to go nice and early. Once we arrive, one person sets up the Ceremony (usually Stef), and the other two set up for the Reception to allow for a quick and easy transition after Canapés! Once we are all set up, we put on an acoustic playlist of love songs and then find the Celebrant to chat with them regarding any cues for the day, and if there are any changes to the usual structure of a Wedding Ceremony. It is during this time that we usually meet the very nervous/excited Groom for the first time as well! Once the guests start to arrive, we seamlessly transition from the acoustic playlist to finger-picked guitar and the mood becomes very ambient as everyone realises the Ceremony is about to begin. Once we receive the nod from the Celebrant, we begin to play the Aisle song. No matter how strict and organised a Bride may be in planning the timing of her walk down the Aisle, it almost always changes! Our many years of playing together has allowed us to become extremely good at ending the song at the appropriate time with nothing more than a look! We also prepare for alternate scenarios during rehearsal just incase. At the conclusion of the Ceremony and after the Exit Song has ended, we kick off our Canapés set. For this particular wedding there was no relocation from Ceremony to Canapés, but if the relocation is on site, we can usually be relocated and ready to go in 15 minutes or less! Once Canapés has concluded, guests begin to enter the Reception venue where we already have music playing upon their arrival. During dinner, we keep the mood going from Canapés, but the addition of Cam on the bass and cajon elevates it to another level. Once dinner is over, the First Dance usually happens. If a Reception package is booked with us, your First Dance can be learnt and played live at no additional cost. 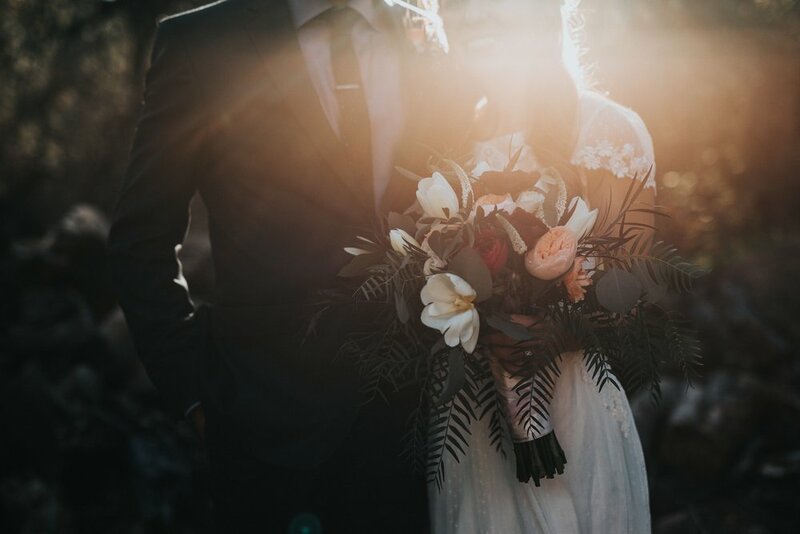 We encourage people to give us specific requests if they see fit - for example, this couple requested the first verse and chorus to be played slowly and stripped back, then after the first chorus to ramp it up for the Bridal Party and guests to join in! After the First Dance has been played, we launch straight into some upbeat and energetic songs to keep everyone up dancing! At the conclusion of the Wedding, we play music as we are packing up and as guests are leaving, and try to find the Bride and Groom if they haven’t left already to grab a quick photo and thank them for having us for their special day! We really do have the best job in the world!